I have not read the other books that preceded this one, except for the first book, On Dublin Road. While there were secondary characters that I didn’t know, it didn’t change my enjoyment of this book. If you haven’t started reading this series, I would highly recommend it, since with this book, the series is now complete! My first impressions of the storyline were that it reminded me of another book with a noisy male neighbor that seemed to have a number of women visiting his bedroom. Grace’s reaction to Logan’s loud sexcapades was very similar as well. What changed for me was when Grace is kind of forced to support Logan in a situation that he doesn’t want to deal with alone. They form this unusual relationship that becomes friendly, but neither one of them want to address their growing attraction. The tension in the room was unbelievably thick, and I was starting to wonder if the sexual part of it on my part wasn’t just on my side. In fact, I was starting to wonder if the tension wasn’t entirely made up of sexual frustration, period. Logan’s face went blank. “You said what?” he asked flatly. “I was being funny.” I shrugged, suddenly not feeling so funny anymore. I am not surprised by the complexity of the main characters. It’s one of the reasons why I love reading Samantha’s books. She knows how to write about people who seem real. Logan’s past has been haunting him for years. Even his sister can’t get him to forgive himself. It takes Grace to get Logan to realize what kind of man he really is. Grace needs someone like Logan to give her the assurance that she is not a product of her mother’s negativity. I really didn’t like how Grace’s family turned against her. If you have been reading the other books in this series, you will be happy to read about all of the other characters, what has been happening in their lives, and how they do everything in their power to bring Grace and Logan together. I found it overwhelming at times because all of the people described seems too perfect and attractive. I could totally get why Grace was intimidated by them. I definitely was! There is also a great epilogue with each character and their significant other mentioned. I had to skim over most of it, because I really didn’t know who they were, but I loved reading about Joss and Braden, and Braden’s sister, Ellie! There are moments in life that change us irreparably. Sometimes those moments are grand and dramatic, tragic or beautiful in their intensity. Sometimes those moments are quiet and small, like footsteps fading behind a closed door. The subtlety of those moments can sometimes camouflage their impact. And sometimes the impact is felt profoundly, but the quietness of the moment is lost on everyone else around you, adding loneliness to the equation. 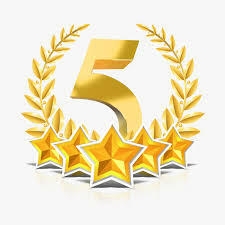 I gave this book 5 “blow me away” stars and put it on my “favorites” and “top shelf fantastic reads” shelves on Goodreads. The book was released this week on Tuesday!! Check Samantha Young’s page on Goodreads here. There are links to all of the books on the series! The first thing I have to say is how incredibly glad I am to have read the entire series. Each book can be read as a stand alone, but I really think the reading experience of each one enhances the others because, I have such a deep connection with all of the characters involved rather than just the main characters of each book. I feel a bit of sadness that the series is now concluded as I often do whenever a series that I have loved is at its end, but Moonlight on Nightingale Way is really a prefect wrap up. One of the many, many reasons that I adore Samantha Young‘s writing is something that Katiebird mentioned…complexity of the characters. Because of that, Logan and Grace are interesting to get to know. The same is true of the romance itself. It never feels too fast or too slow. As their feelings for each other grow and intensify? Mine do too until that truly wonderful moment as a reader happens, and I believe that no matter what… they have to be together. Getting to that point never seems guaranteed, and honestly I enjoy going through both the highs and lows. It’s what keeps me turning the pages so quickly, wondering and needing to know just how things will play out. Once again, Samantha has crafted a story that I absolutely loved. The writing is exceptional. You will feel all the feels while reading this book, but they are perfectly proportioned. You will feel the romance and the passion between Logan and Grace. You will also feel the heartaches and the uneasiness that they go through individually and as a couple. You will want them to get their HEA because they both deserve it. 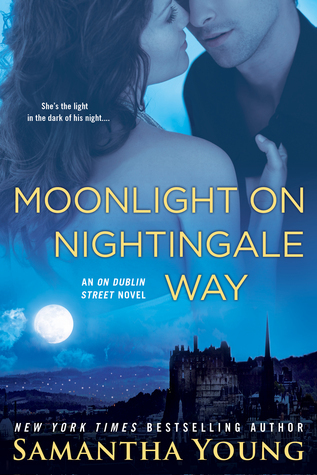 I’m giving Moonlight on Nightingale Way my very highest recommendation because it’s just that awesome. Lastly, and before I share my rating I have to say once again that this series has been an absolute joy to read. My favorite book of all remains On Dublin Street, but I have enjoyed each and every story. If you haven’t read any or all of them, I can’t urge you enough to do so. It will be such an amazing journey, truly. My rating is not only for Moonlight on Nightingale Way, but for the series as a whole. This entry was posted in Adult Romance, Book Recommendation, Book Release, Books, Braden Carmichael, Contemporary Romance, Favorite Authors, New Adult, New Release, Samantha Young, Series and tagged Adult Romance, Book Recommendation, Book Release, Books, Braden Carmichael, Contemporary Romance, favorite authors, Moonlight on Nightingale Way, New Adult, New Release, Samantha Young, series.